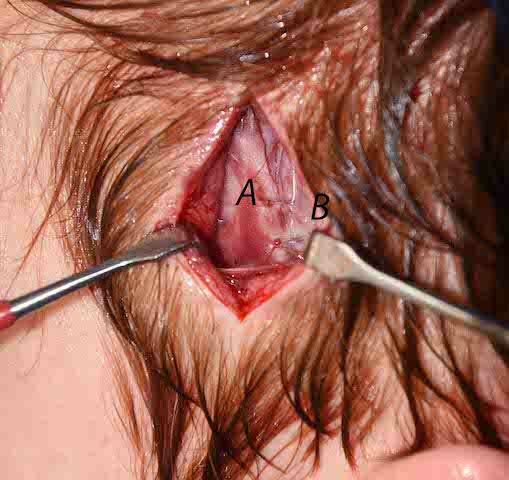 Aesthetic augmentation of the side of the head is designed to increase its fullness or convexity. From the side of the eye (lateral orbital rim) all the way to the back of the head is known as the temporal skull area. While most people think of the temples as to the side of the eye, this is really the anterior temporal zone which is primarily in the non-hair bearing area. The entire hair-bearing area is the posterior temporal zone, which is much bigger in surface area than the anterior temporal zone. Standard preformed implants have been available for the anterior temporal area for several years. With the popularity of injectable fillers and fat injections being used for temporal augmentation, the need for a permanent implant solution became a natural evolution to fulfill an aesthetic need. 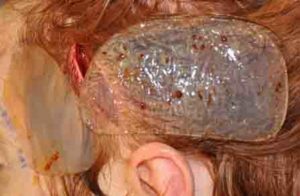 But no such implant exists for the posterior temporal region undoubtedly due to the low demand for it. But posterior temporal implants can be custom made and their shape is quite different from anterior implants. They have an oval shape with a longer front to back length than its height. Most posterior temporal implants have a central thickness in the 5 to 7mm range. As I have gained considerable experience with all forms of temporal augmentation I am now able to augment both the anterior and posterior temporal zones through an incision in the postauriclar sulcus. This ‘scarless’ approach eliminates any scar concerns in male or female with very short temporal hairstyles.